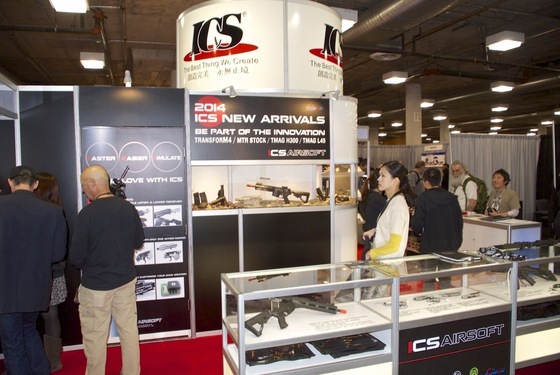 I again had the opportunity to attend this years SHOT Show in Las Vegas, it has pretty much become a tradition for me now. 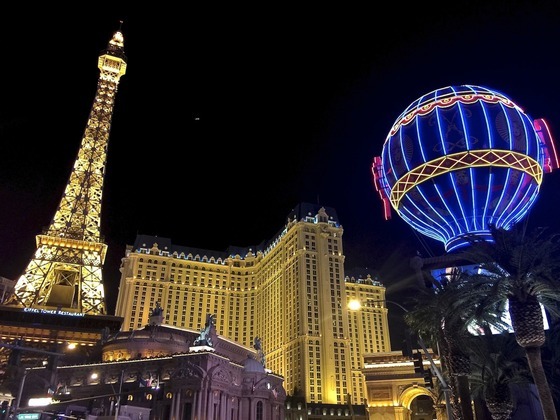 First of all it's a great excuse to go to Las Vegas! 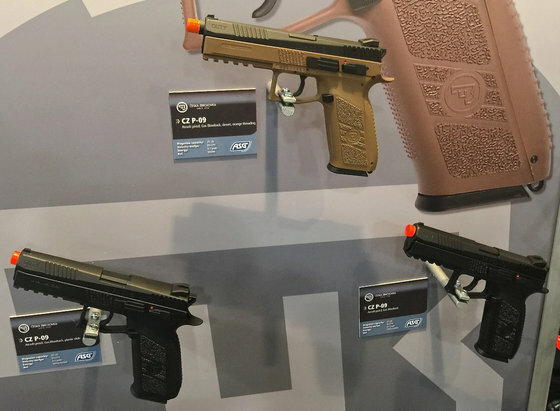 And then there is the SHOT Show with all the big Airgun companies to go and checkout their products and of course meet some of the folks that I have been emailing. 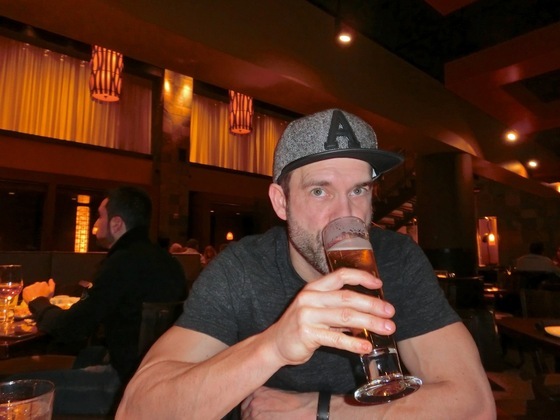 It also give my wife and I nice break from the kids, Vegas is almost like a second home to us now we have been so many times, we have our favorite eating places, of course there is the Fat Tuesdays we make sure to stop in most days for our troff of slushy boozy drink. 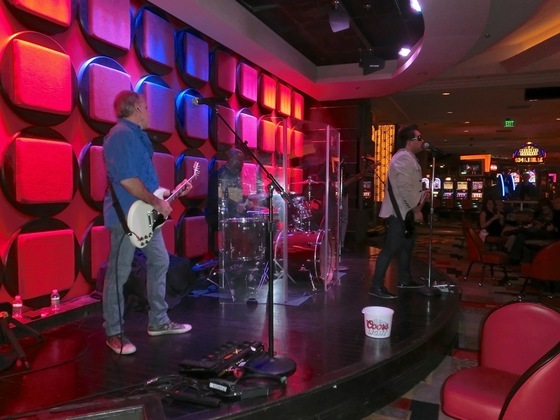 We generally hit a show of some sort and if you like shopping, there is plenty of that to do in Las Vegas. 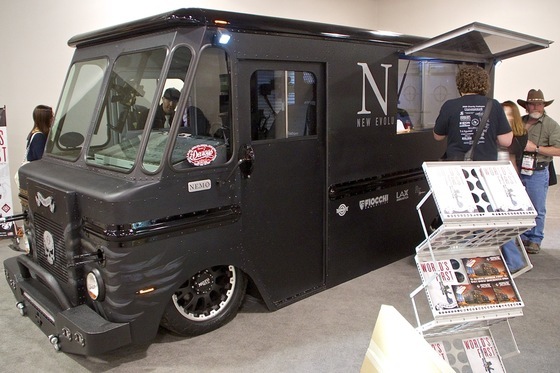 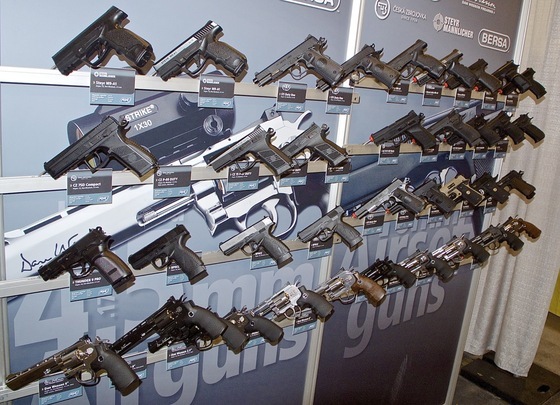 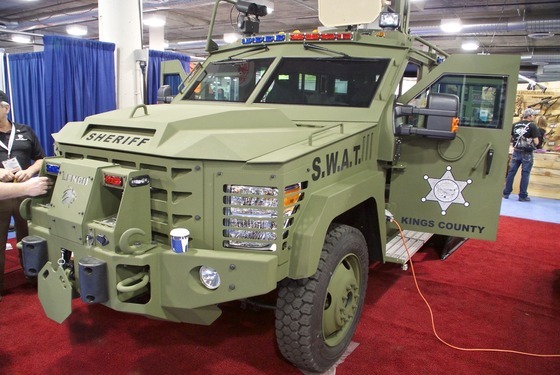 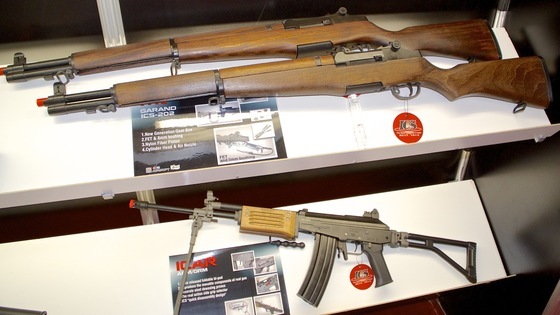 OK, so back to the 2015 SHOT Show, I have to say every year is a lot like the years before, most of the booths are even in the same locations so it is making it easier for me to find them, SHOT Show is a big show with lots of area to covers! 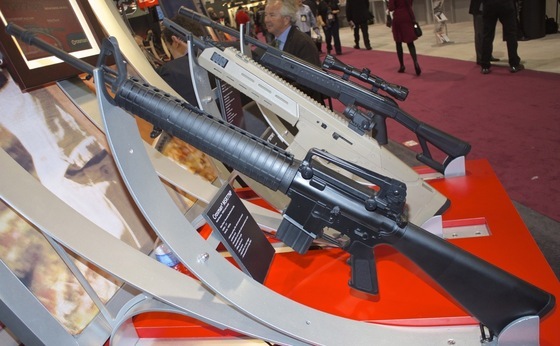 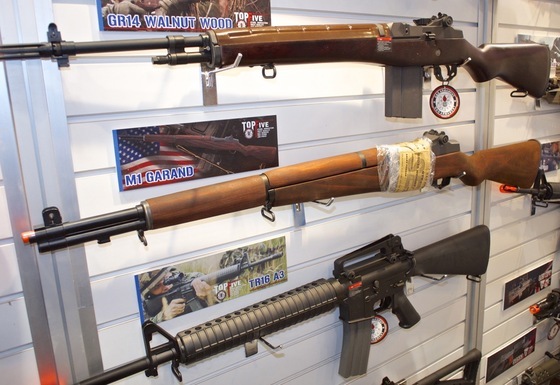 Generally most companies will have all there old guns on display along with a few new ones, for me I am there to see what's new and I am sure most of you are interested in the upcoming products as well. 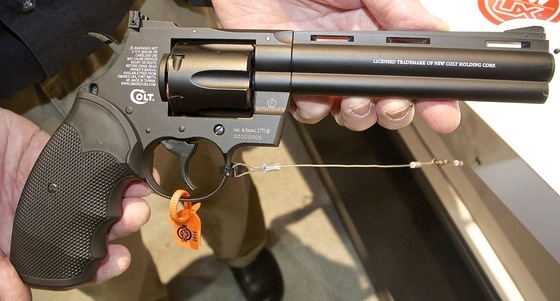 I know many of my American viewers have been wanting a Single Action Army 45 Revolvers and I too have been asking for this classic Cowboy revolver, I have even mentioned this to the big companies the past several years. 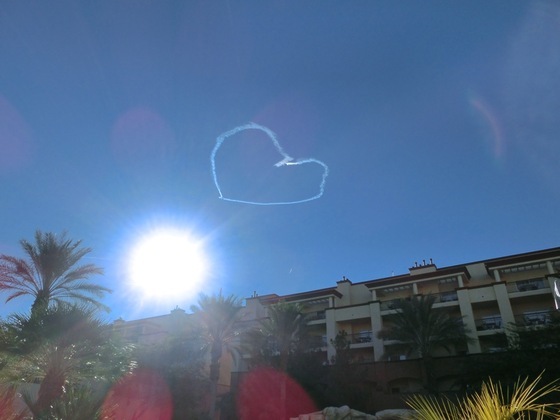 Well I guess they finally got the message! 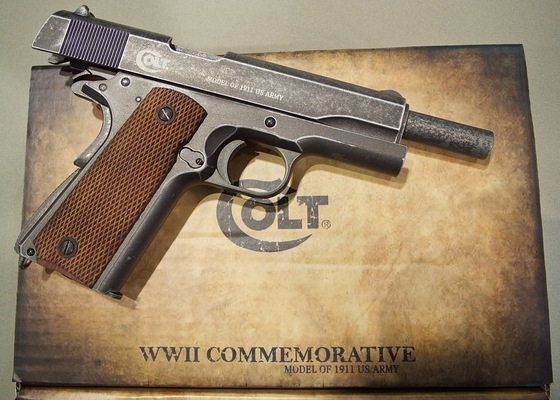 Umarex is releasing their Colt Single Action Army 45 in a few different configurations. 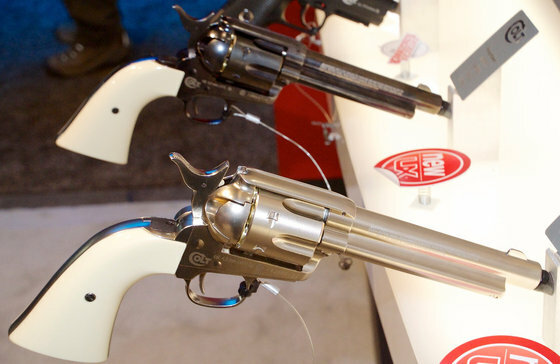 Their run of 500 Limited edition US Marshal revolvers sold out within the first few hours but I got my name on one this time so look forward to that review when I get mine :) Don't worry if you don't manage to get your hands on one of the US Marshal Single Action Army's, there will be two other none limited edition versions, one in silver and one in blued, both with bone handles. 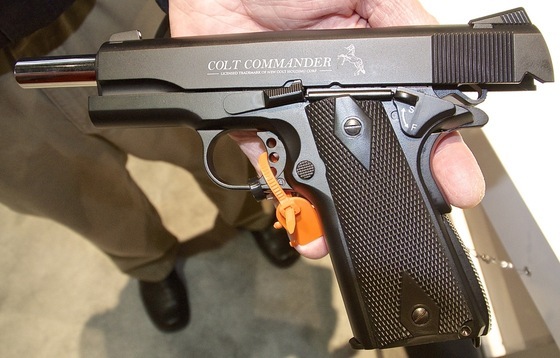 Like the Dan Wesson and Colt 357 shell loading BB revolvers, the Colt Single Action Army pistols will be mostly metal and also have removable shells that you place the BB's into. 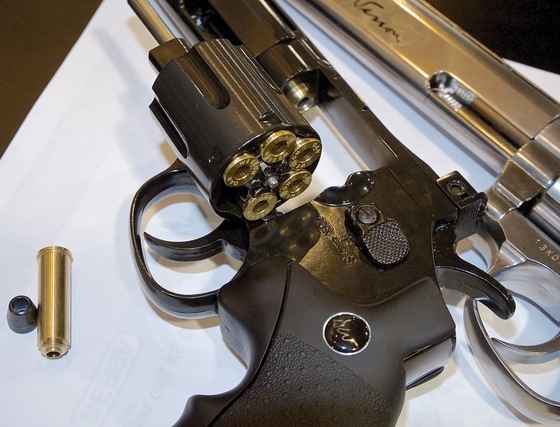 You will have to load each shell one at a time into the Colts, just like the old cowboy versions. 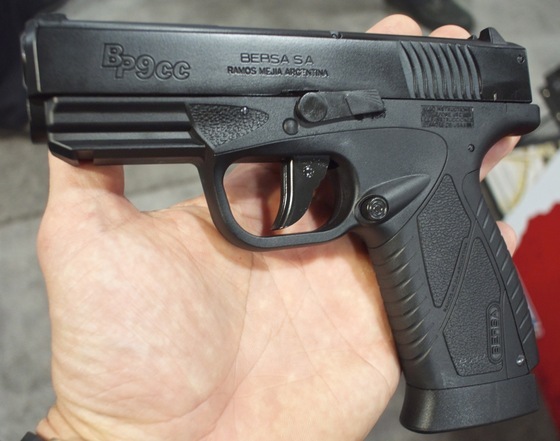 The 12 gram CO2 is located in the pistol grip as expected and all version shoot in single action only as the name indicates. 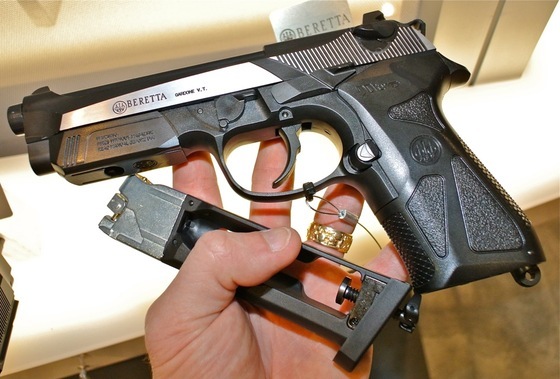 Another noteworthy Umarex new product is the Umarex Pietro Beretta 92 A1 which is a pretty much full metal licensed Beretta with full blowback and a full size drop out metal magazine that holds the BB's and CO2. 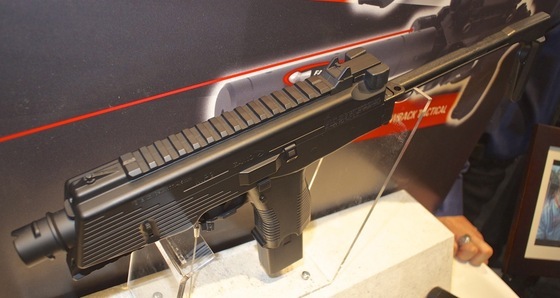 Umarex also added the KWC Luger and Mauser to their line off classic Blowback BB pistols this year. 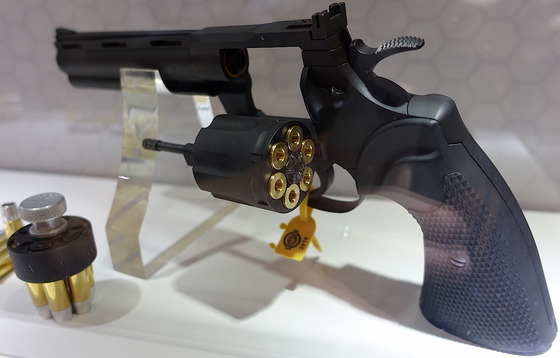 ASG had some interesting offerings, they showed me a new styled Dan Wesson that will be able to accept a sight rail, it will come in Steel 4.5mm BB, 6mm Airsoft and .177 caliber Pellet. 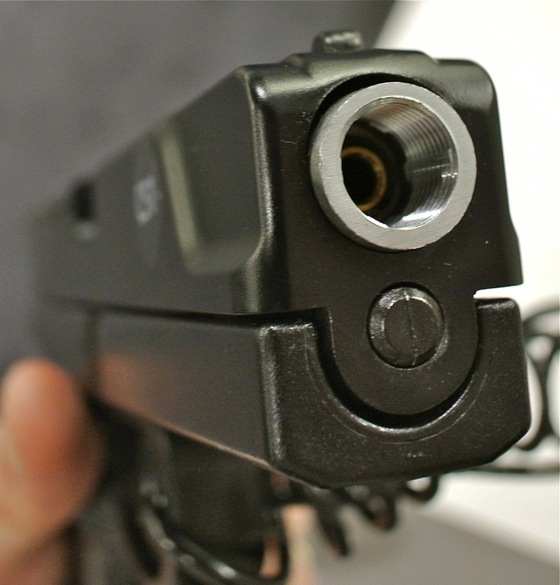 The new style Dan Wesson will not include the sight rail but you will be able to purchase it separately. 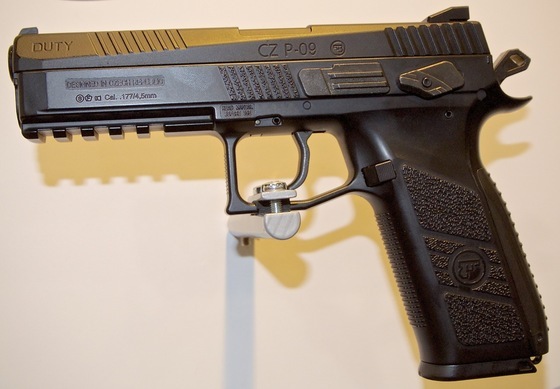 While visiting ASG I played around with their new Airsoft CZ P-09 full blowback semi auto pistol, wow the slide felt good, I am pretty sure the ASG Airsoft CZ P-09 is going to be a lot of fun to shoot! 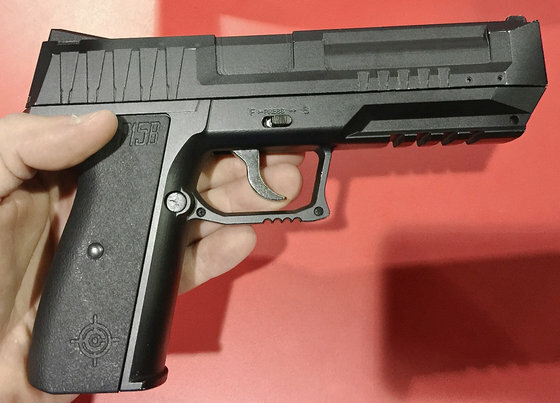 Crosman didn't have a lot in terms of Replica guns which is not all that unusual for them, I did get my hands on their new P15B Blowback BB Pistol, I am not sure if it is the final version or a prototype at this point? 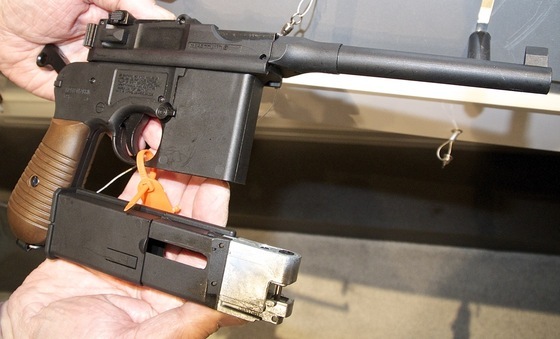 The Crosman P15B has blowback action but no slide catch or slide lock, it sports a drop out full metal stick styled magazine and kind of looks like a cross between a Sig Sauer and a Desert Eagle. 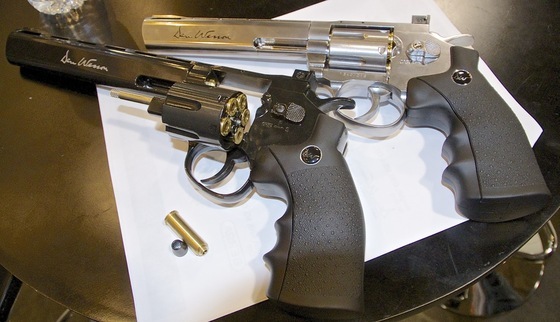 Gamo, again, not known for their huge selection of replica guns did have an interesting new revolver, the PR-776 which is based on the shell loading Win Gun Frame but instead of incorporating removable shells, you load .177 caliber pellets directly into the cylinder of the PR-776. 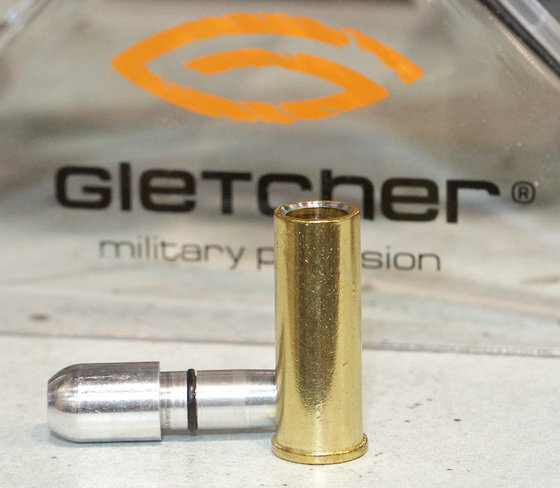 I got to take a close up look at the Gletcher .177 caliber brass shells for their 357 series CO2 revolvers and they are a lot different than the Dan Wesson version of pellet loading brass shells. 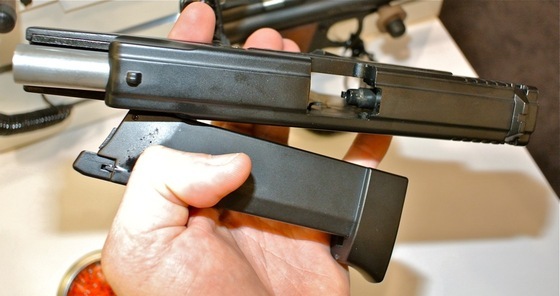 Instead of screwing together they press together and have a rubber O-ring system to help them seal tightly. 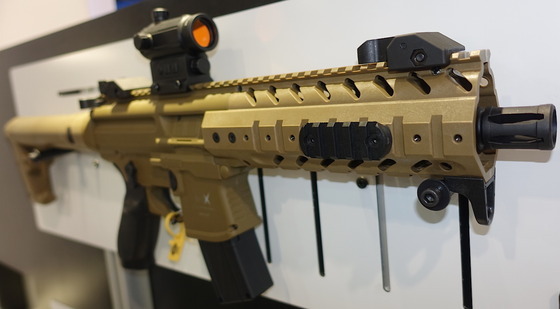 Umarex had a lot of new products this year so I thought I would start off showing you some of them. 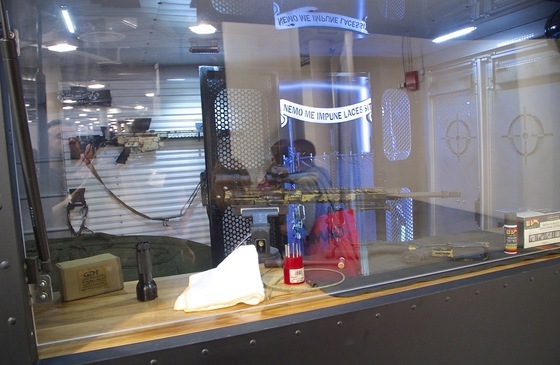 I will be following this post up with a full 2014 Vegas SHOT Show video once I finish posting some of my photos and comments on the show events. 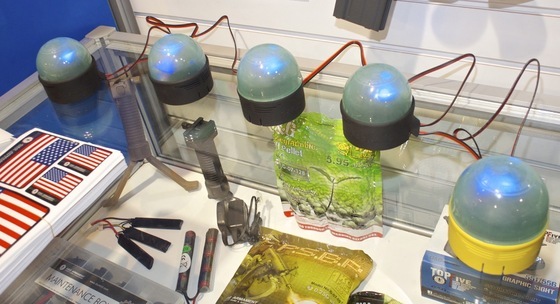 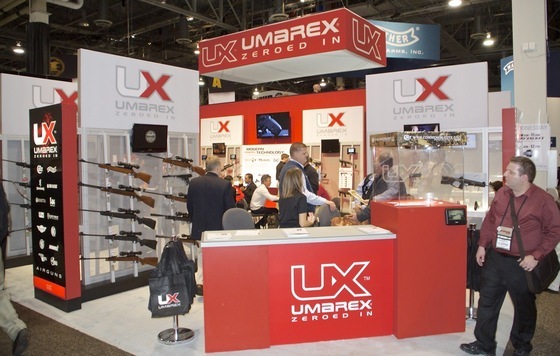 Here is a photo of the main Umarex Booth. 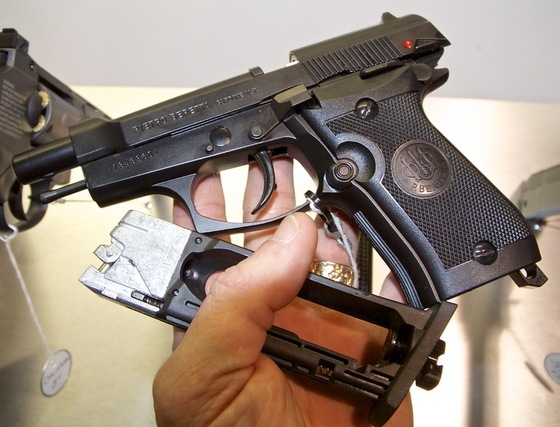 I have always liked the 4.5mm BB version of the Umarex Makarov, Umarex now has the Makarov Ultra version that features blowback, a working slide catch and full size drop out magazine, looking forward to testing this one out! 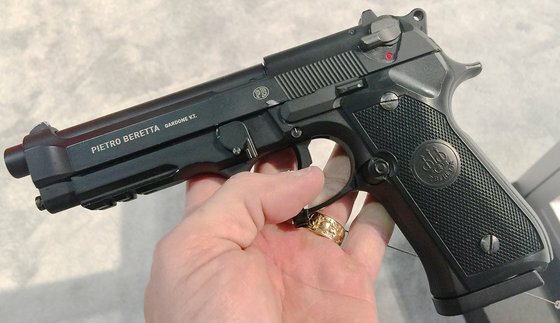 Another kind of new addition to the 4.5mm Steel BB lineup is the Umarex Beretta Model 84FS. 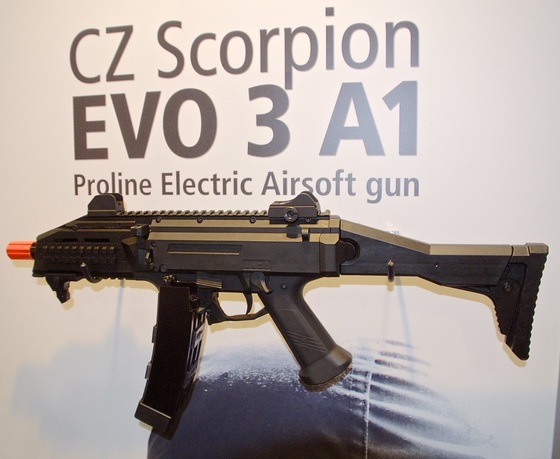 It has been available overseas but is now coming to North America. 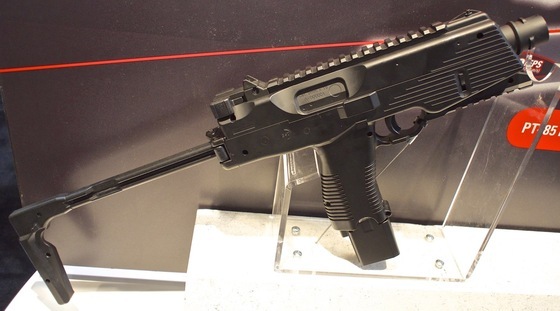 The Umarex Beretta Model 84FS also features blowback and a full size drop out magazine. 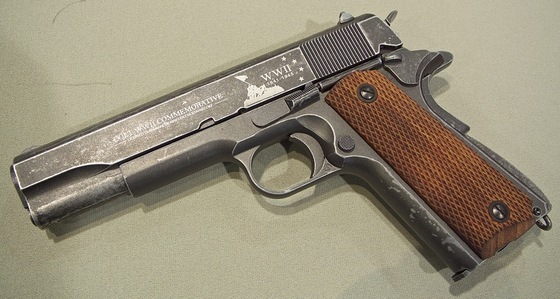 I'm not sure if we needed another rebranded version of the KWC 1911 Blowback BB pistol, but we got one anyways! 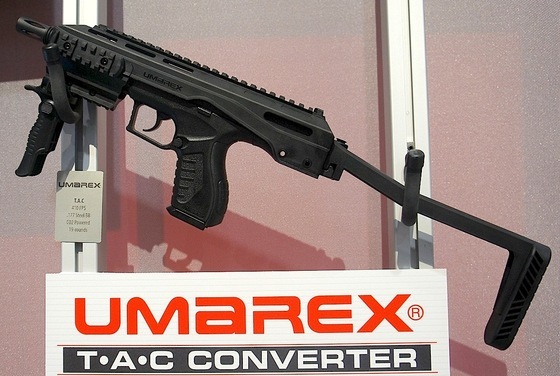 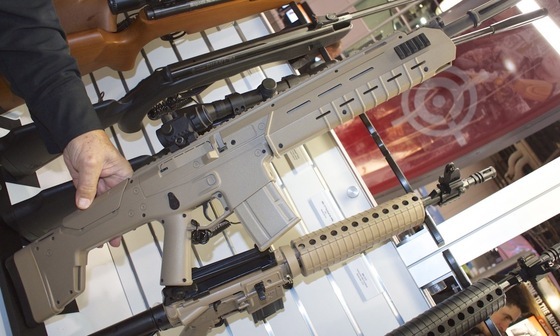 Umarex now has their own version of what looks to similar to the KWC Tac A1 but with Colt licensing. 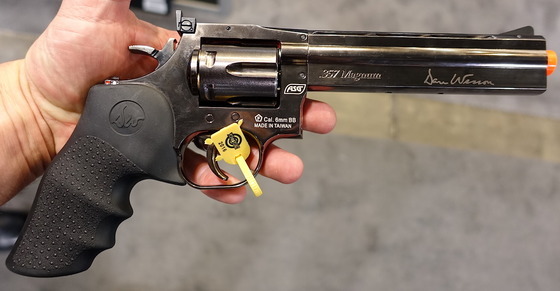 Umarex came out with Smith & Wesson 327 TRR8 last year and this year they have added a similar styled 4.5mm Steel BB shooting revolver with removable shells but in a licensed Colt Python 357 version. 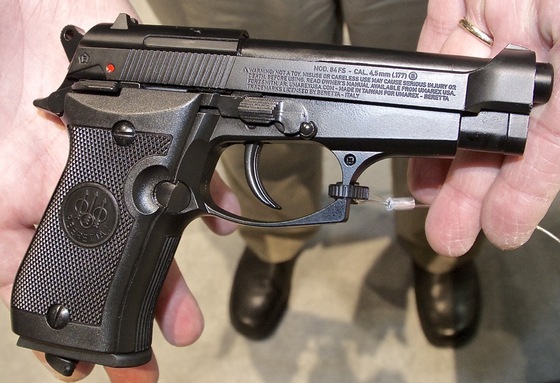 Last but not least and going back many years, Umarex is bringing out another Legends Series 4.5mm BB pistol. 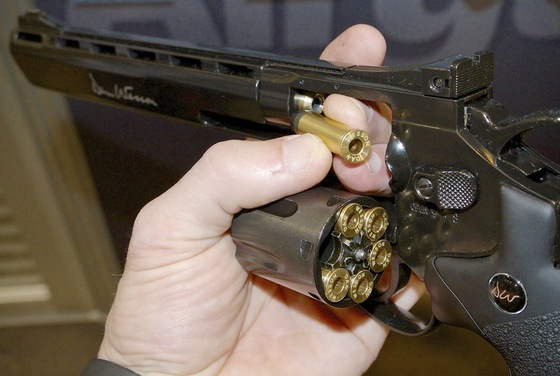 The German Mauser C96, I'm not 100% sure if it's blowback or not but it does seem to have a working action, the main pistol is made out of Polymer but it does have a full size drop out magazine and seems to have good weight overall. 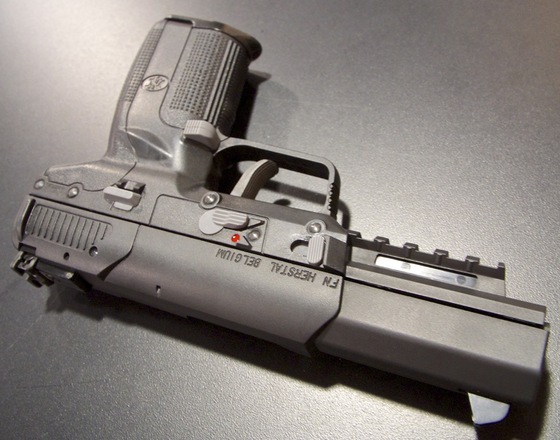 Most of the parts work like the original Mauser C96 including the adjustable rear sight and safeties. 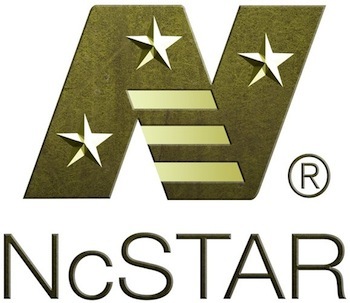 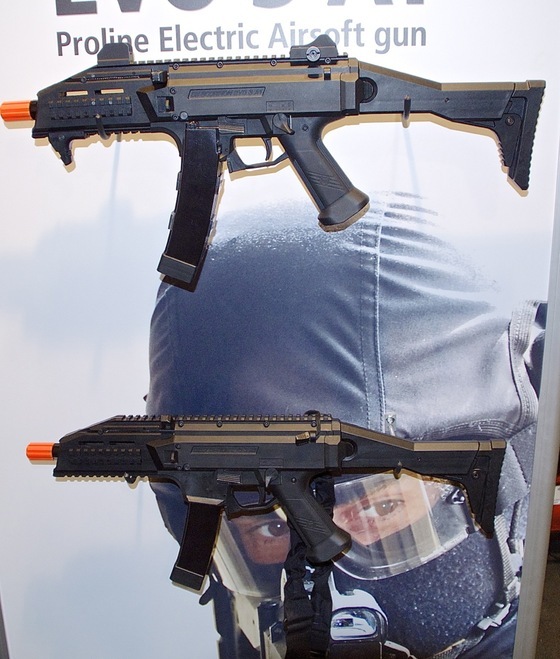 We just added a nice sellection of new NcSTAR accessories to the Canada Replica Airguns Store! 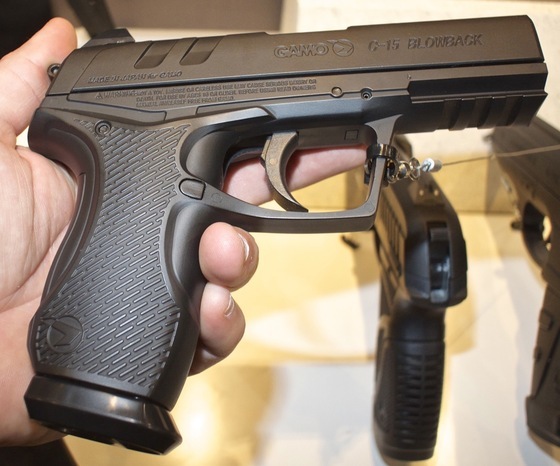 ROCHESTER, New York (January 17, 2012) – Crosman Corporation, long known for innovation and quality in products for the shooting sports, has introduced the new Crosman C-TT. 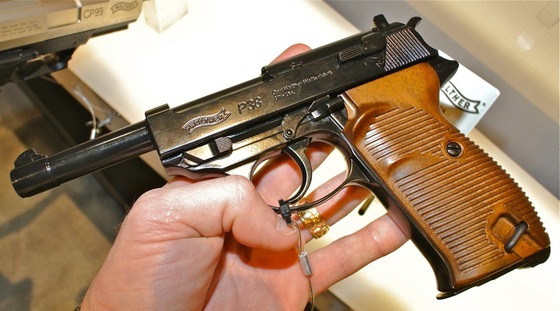 The CO2 powered .177 caliber, semi-automatic BB repeater air pistol is styled after a World War II era Russian service handgun. 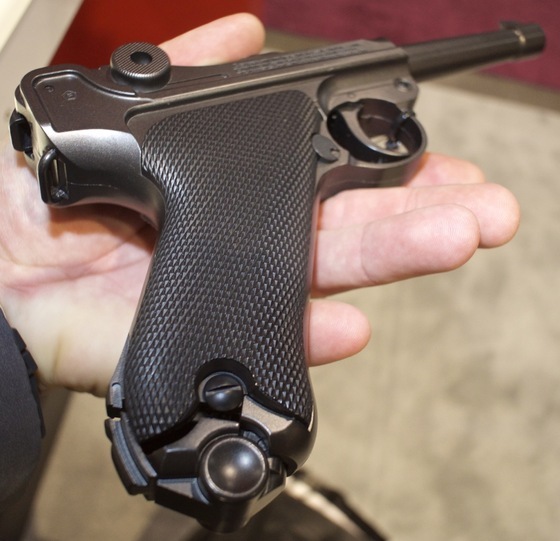 Appealing to fans of WWII memorabilia, “the C-TT is an authentic looking plinking pistol that offers hours of fun action shooting,” says Crosman Product Manager Flemming Molin. 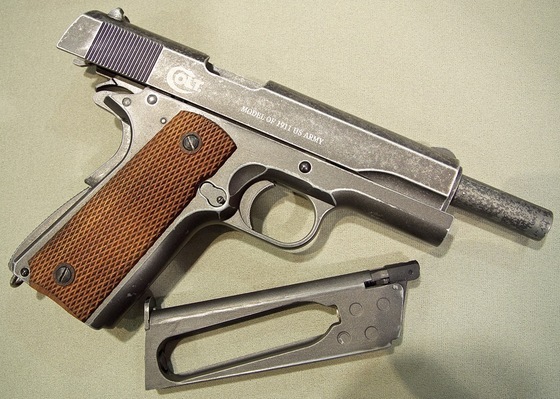 “Adding to the realism of the new, vintage-style C-TT pistol is its generous weight and the all-metal body. 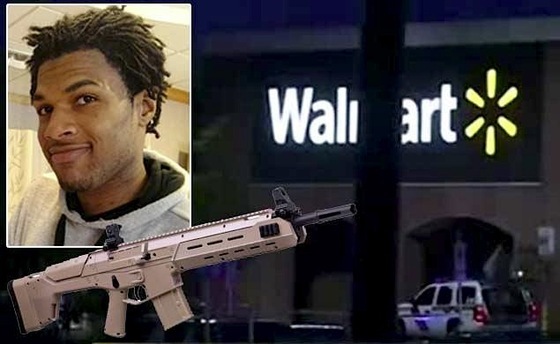 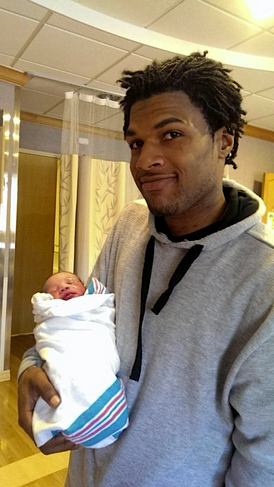 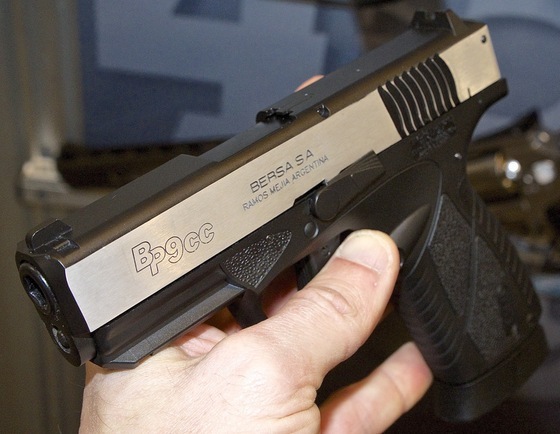 It gives this pistol its genuine feel,” he said. 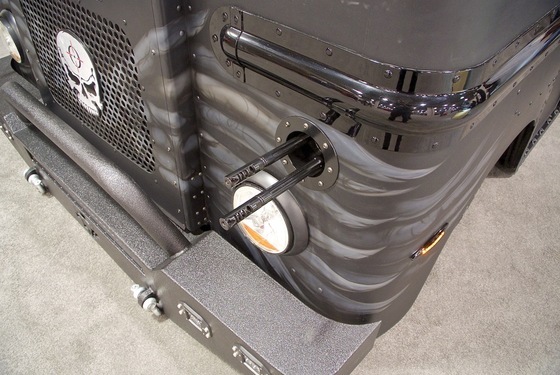 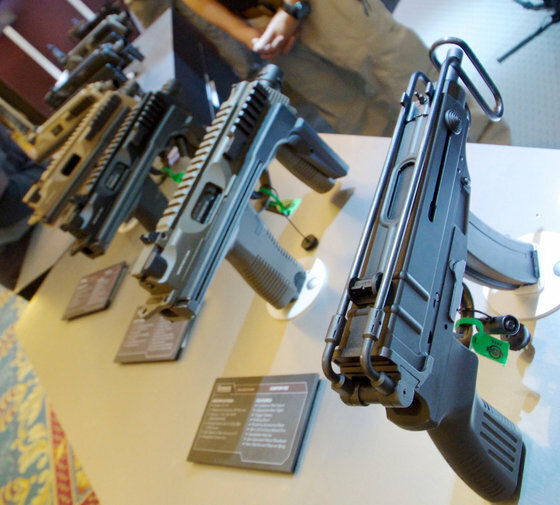 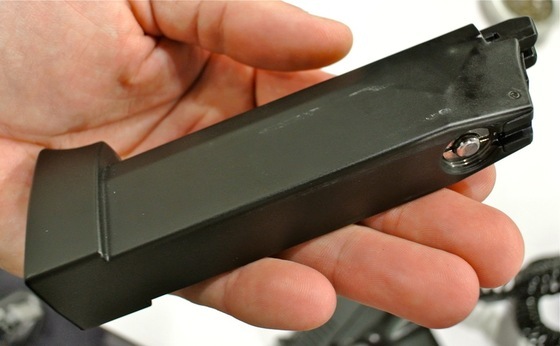 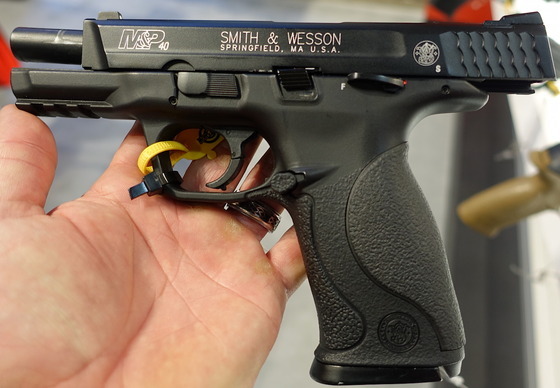 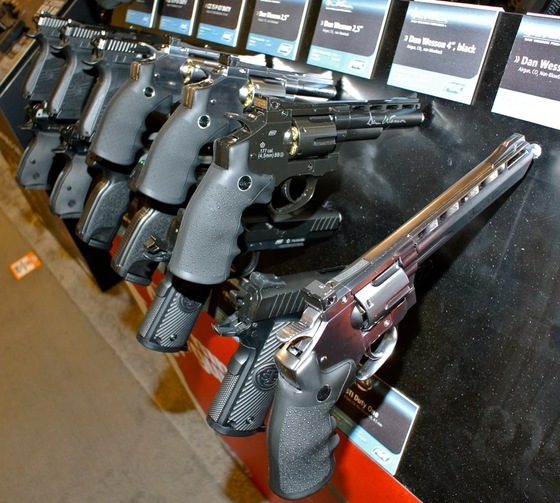 “The 18-round mag drops at the push of a button for quick reloading, getting you back to shooting sooner,” said Molin. 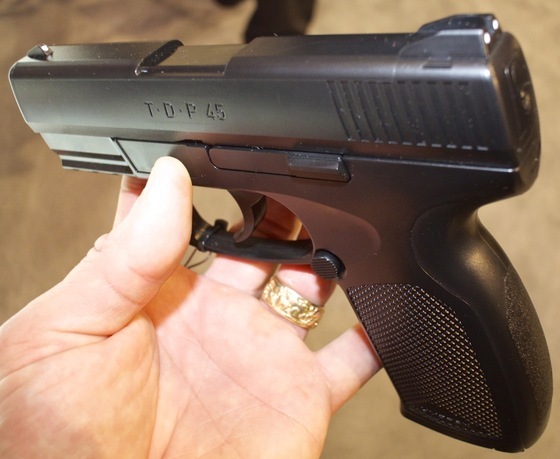 “Imagine the thrill of shooting as fast as you can pull the trigger with this new Soviet-style sidearm. 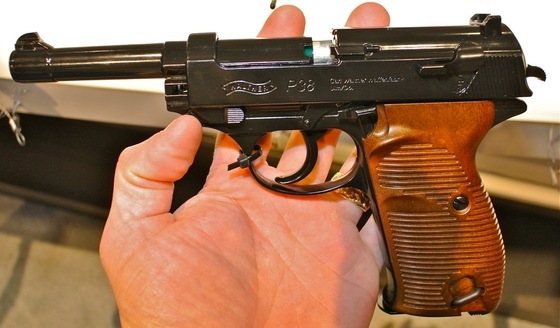 What better way to enjoy target shooting than with a pistol that looks like it’s from your favorite WWII game?” Molin asked. 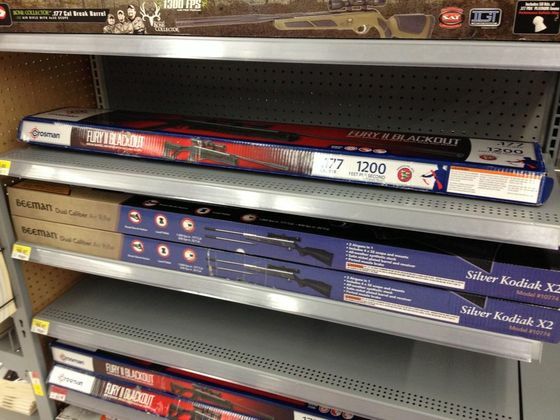 “Put together some targets and challenge your buddies to a friendly competition,” he suggests. 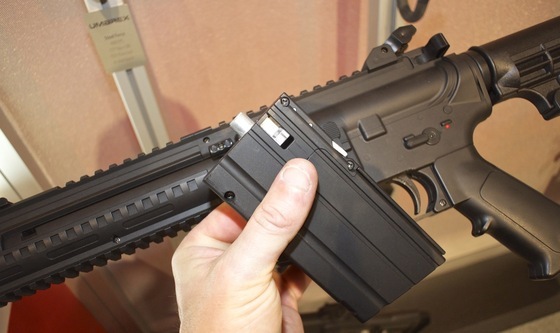 The new CO2 pistol is a semi-automatic repeater powered by a Powerlet® 12 gram CO2 cartridge. 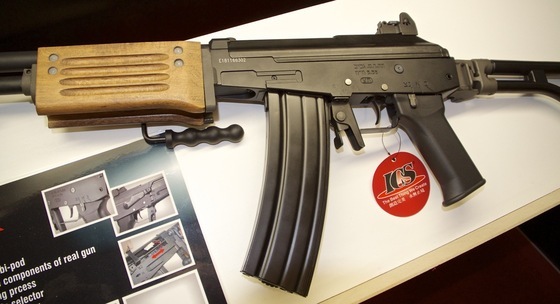 It features a comfortable polymer grip, alloy body and is equipped with a front blade and rear notch sight. 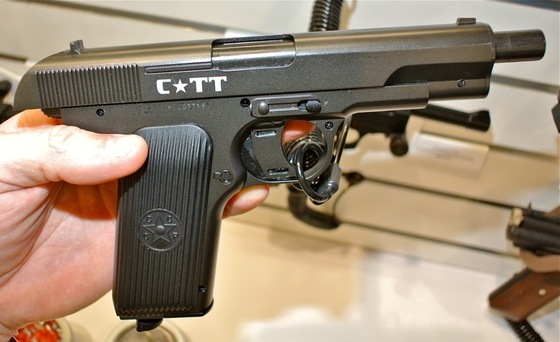 The C-TT holds up to 18, 4.5mm BBs and is as sturdy as the World War II Red Army service pistol it resembles,” Molin commented. 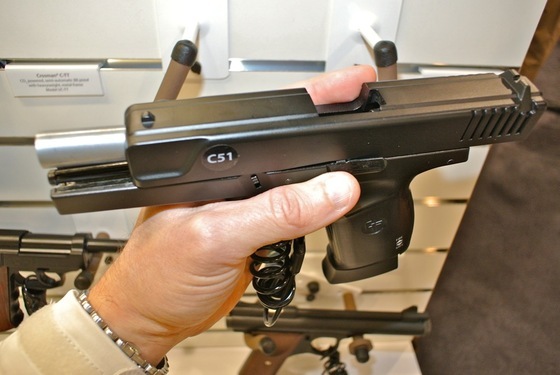 The C-TT has an MSRP of $99.99 and is available at retail. 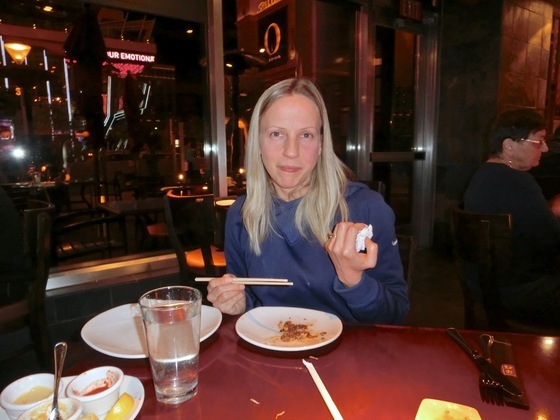 OK, so I took a day off to appease the wife and did some "shopping" but then today it was back to business and I made the wife come along for the ride, she was a good sport about it so it all worked out! 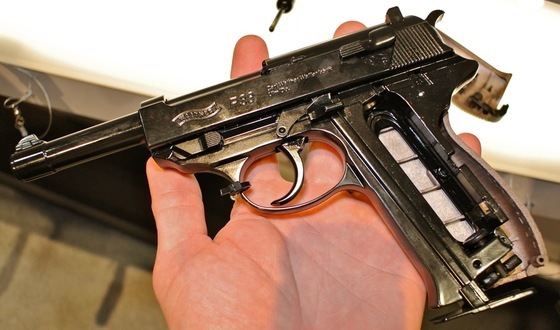 I went back to Umarex and Crosman, just to verify a few things, first of all, the Umarex P38 is in fact a blowback pistol and it has a nice 400 claimed fps. 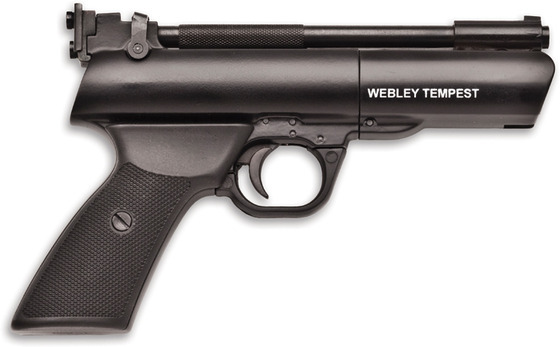 I am looking forward to testing this one!. 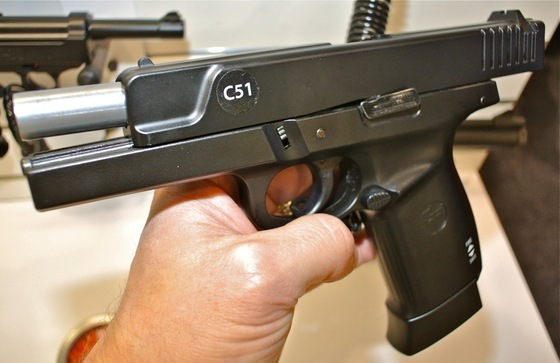 I also went back to Crosman to checkout the C51 and the C*TT to see if the C51 Glock-ish looking replica had a polymer frame which it does and also to see if the C*TT is blowback which it is not :( But it is mostly metal and has a working slide so there is hope for the C*TT. 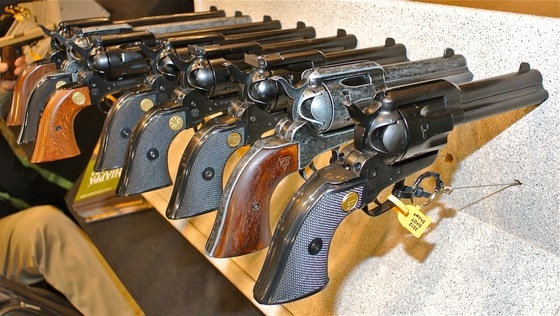 Lastly, I have a few 22LR guns coming my way that I will be reviewing. 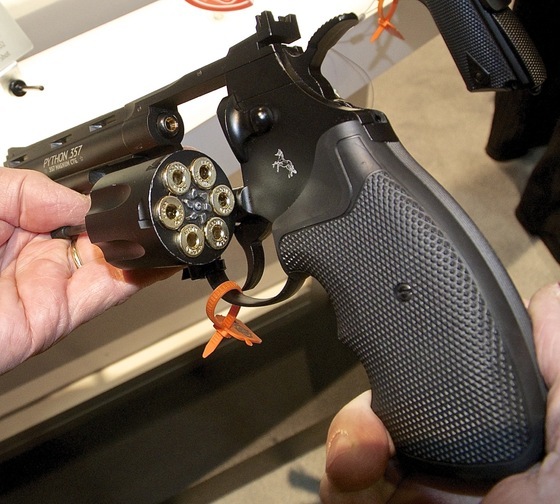 yes I know they are not airguns but whenever I review a 22LR gun, I get a lot of questions and if you are like me, and you have your PAL, the 22LR guns make a nice addition to your low cost guns that you can buy and shoot for a fraction of the cost of the larger caliber guns out there. 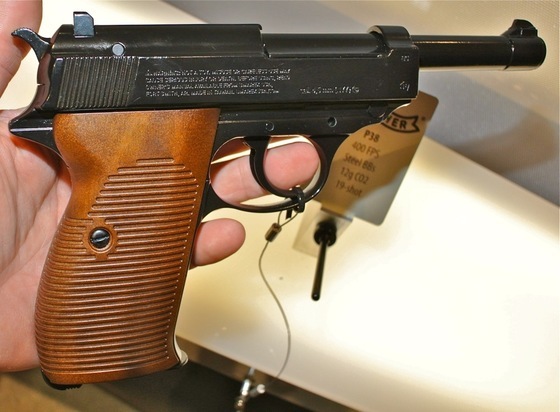 Today I stopped by Chiappa and checked them out. 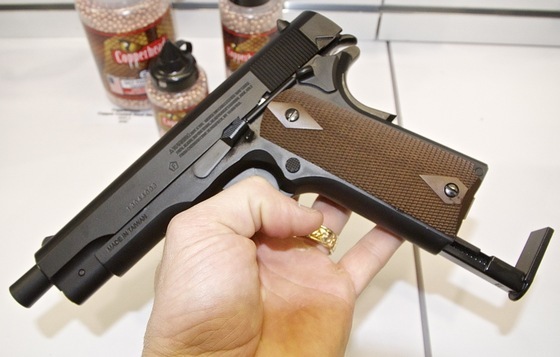 I have a 1911 Tactical 22LR on the way that I will be reviewing and I may get some more 22LR from Chiappa down the road if the 1911 reviews well. 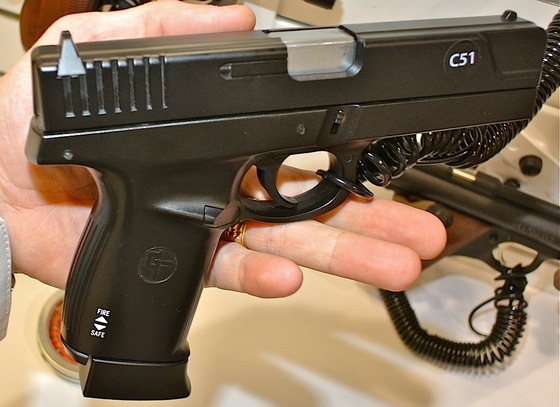 By the way I also have a 22lR M22 ISSC "Glock" styled pistol also on it's way for review! 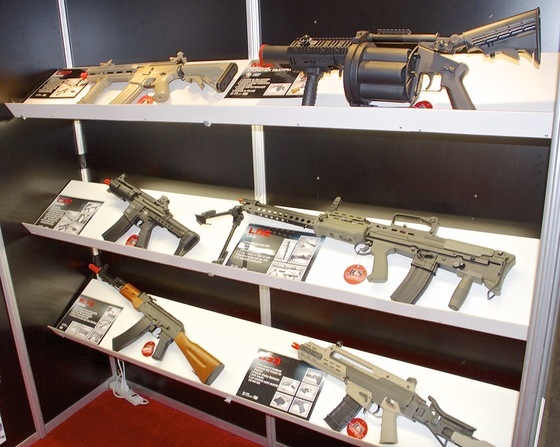 Well that's it from the Vegas SHOT SHow 2012 for now, see you on the flip-side! 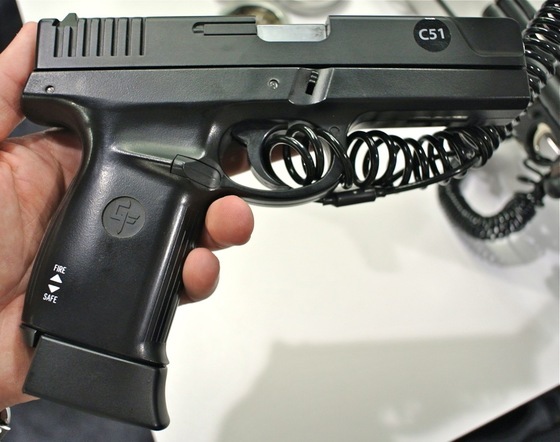 I thought the Crosman C51 was dead, it was expected to be released back in the summer of 2011 but it got delayed and then word came out that it was dropped! 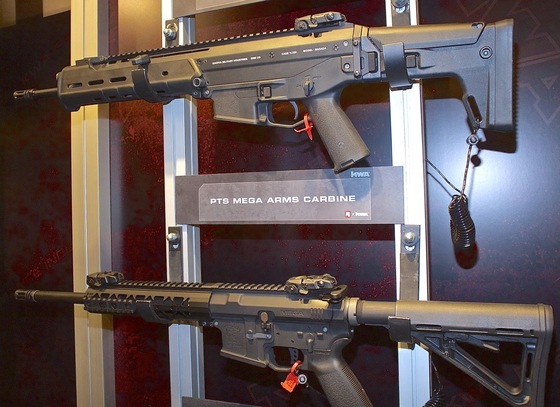 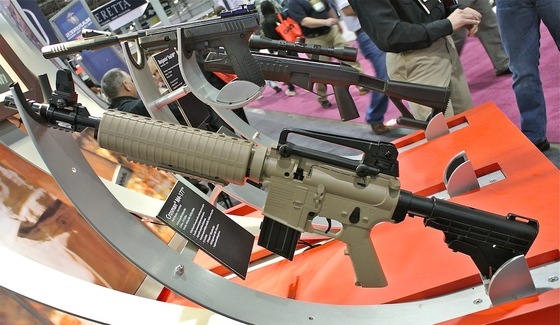 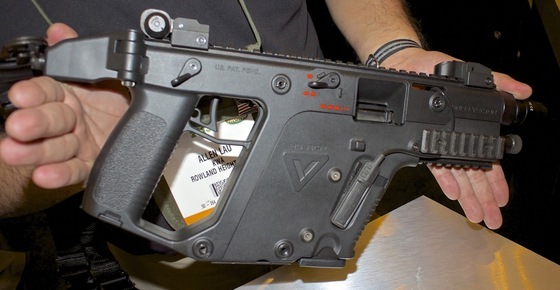 But then to my surprise I saw it on display at this years SHOT Show and after a few questions it looks like it is back on the table as a new product for 2012. 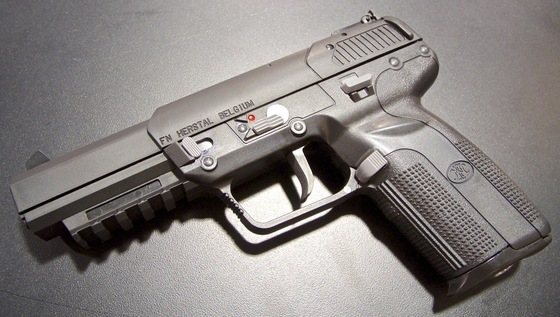 This is great news because I have to say this is a very well made pistol all around very realistic. 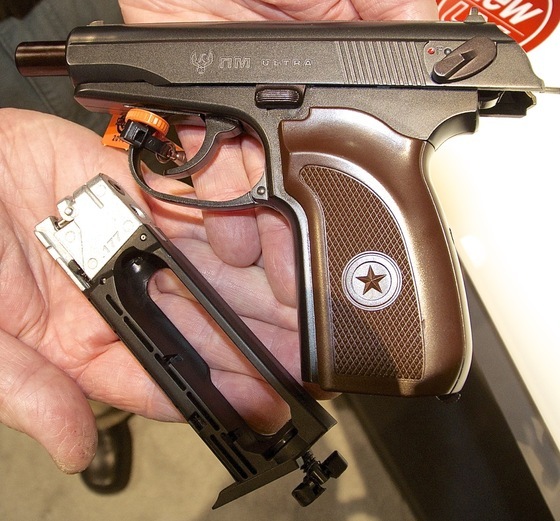 It has excellent weight to it, especially in the slide and it has a floating barrel with full blowback action and a single action trigger. 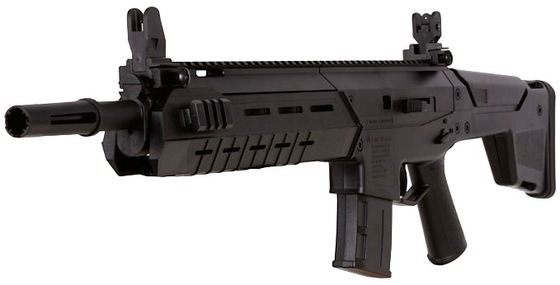 You will also be happy to hear it has a full drop out metal magazine and seems to be designed like many of the 6mm Airsoft blowback airguns. 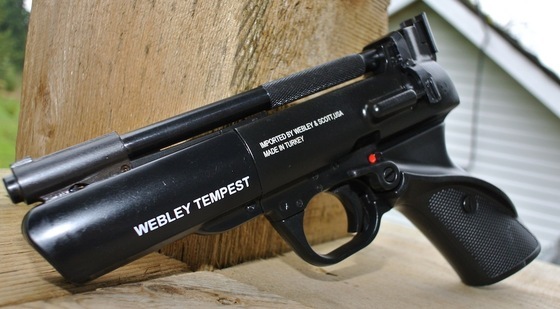 I am really looking forward to getting my hands on this air pistol! 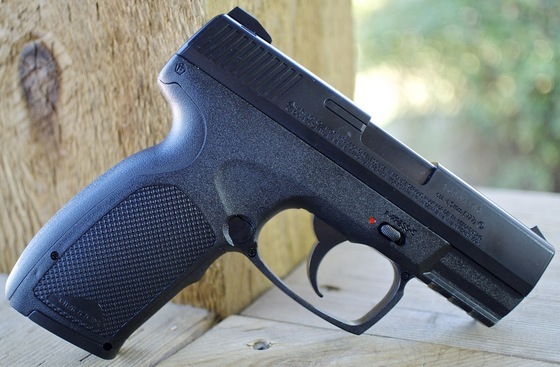 One new item from Umarex that at first I thought was pretty much exactly like the Crosman C41 but after closer inspection it is very different and has some features that I believe will make it the better of the two. 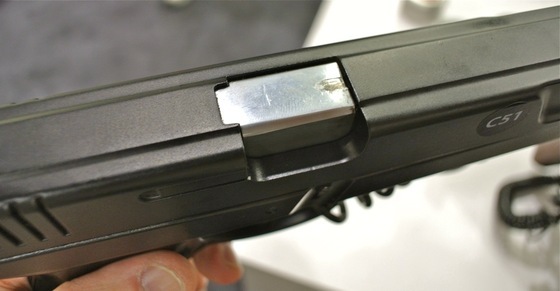 For one the Umarex P38 has a slide catch and release, the Crosman C41 has a moving slide but no slide catch to speak of. 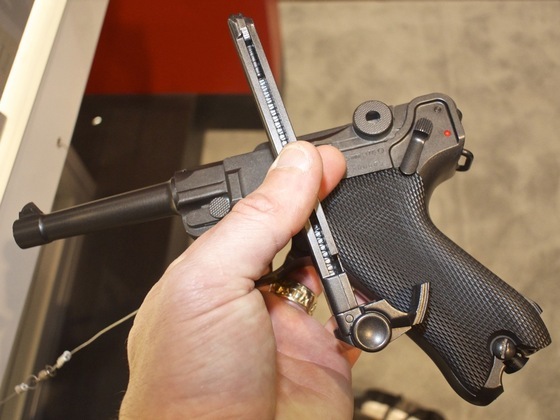 The Umarex P38 also has the actual Walther P38 licensing which is a nice touch and it has an actual working hammer. 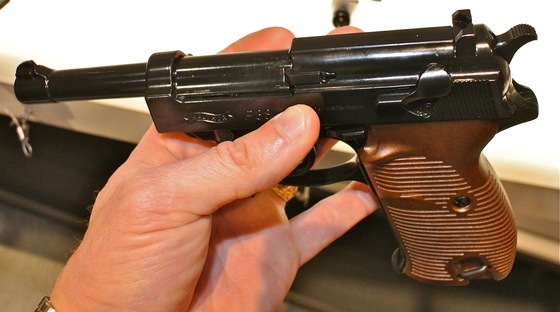 I am not 100% sure if it is blowback or not but I plan on going back and asking a few more questions about the Umarex Walther P38 as it looks to be a nice addition to the Umarex Replica Air Pistol line up. 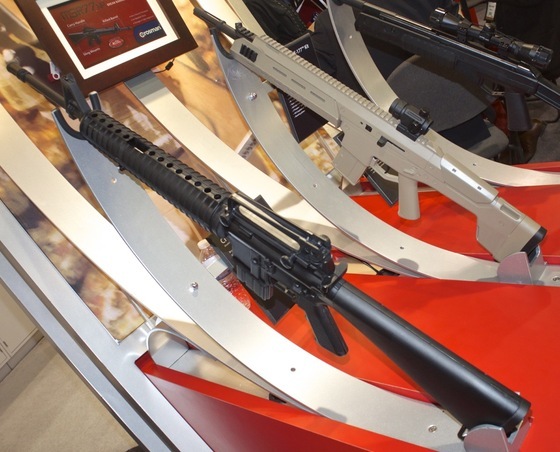 Day One of the SHOT Show 2012! 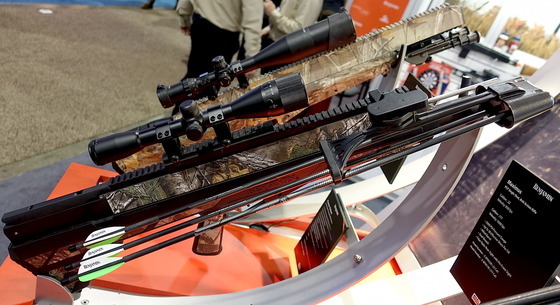 The SHOT Show is out of this world! 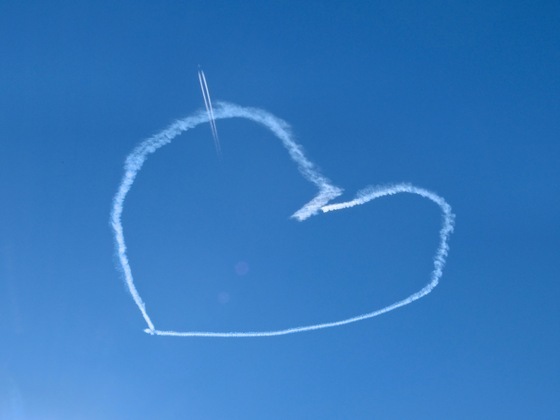 You really need a week to check it all out or perhaps a clone of yourself... 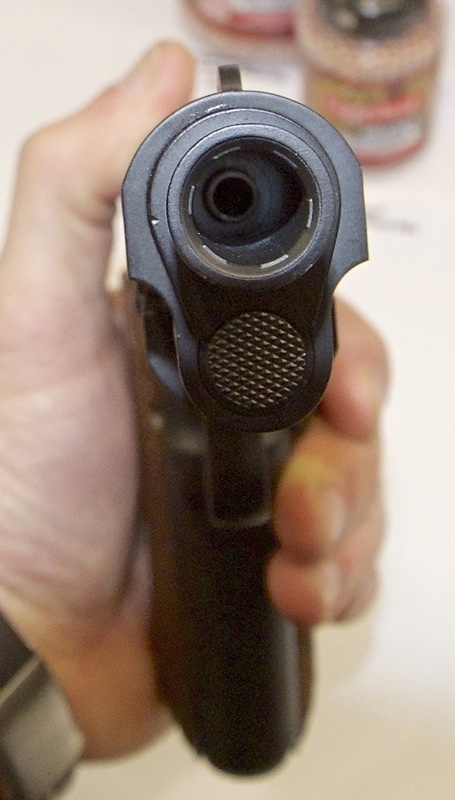 I barely touched the surface today. 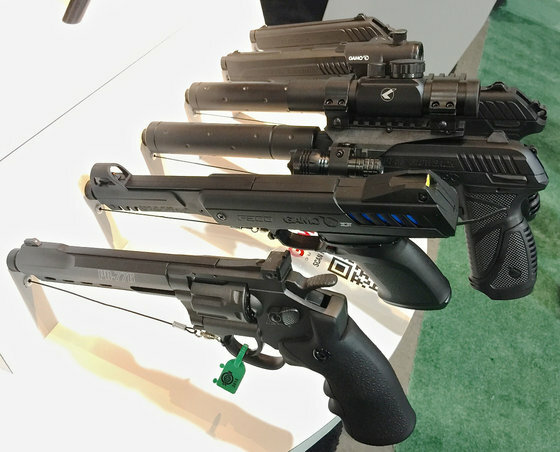 I did make sure I had a chance to checkout both Umarex and Crosman, I also made it to some other booths, but I will touch on them later in another post. 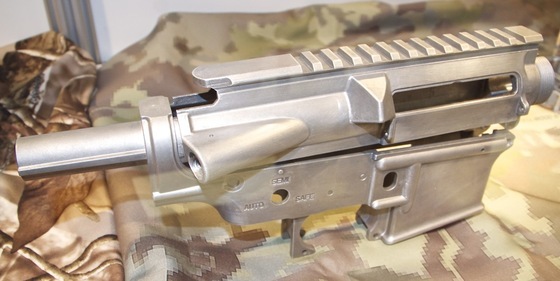 There is enough information I can share with you from Crosman and Umarex to keep you drooling for now. 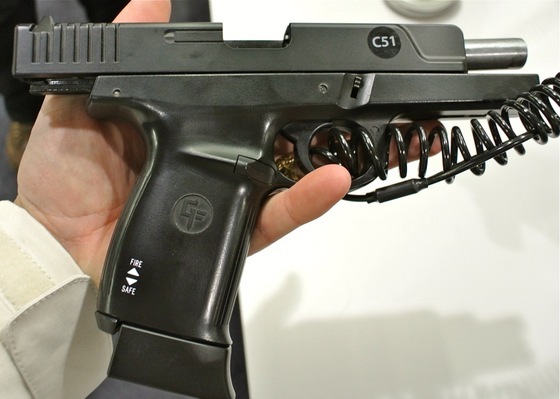 Crosman is bringing back the C51 Glock inspired Blowback BB pistol that we all thought was dead and I have to say it looks really really nice - more to come on this one. 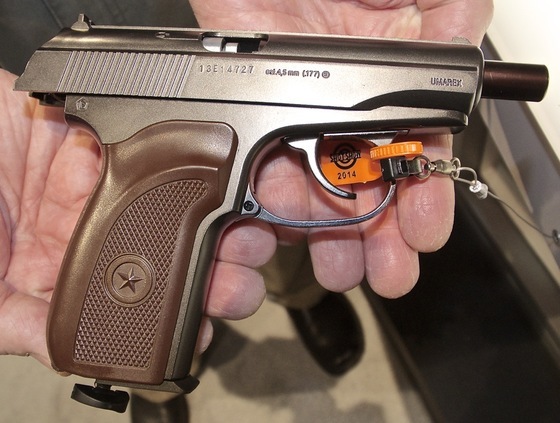 Crosman also has the new C*TT BB pistol that looks to be a blowback pistol replica of the Russian Tokarev. 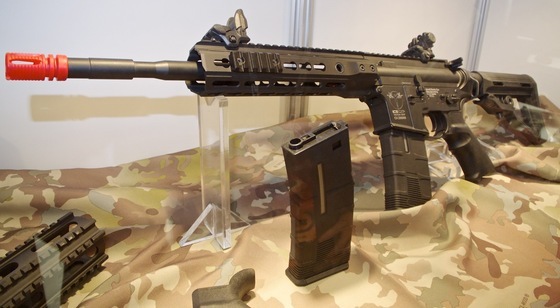 I also saw a very nice looking two tone version of the M4-177 and there may just be a Canadian detuned under 500 fps version on the way? 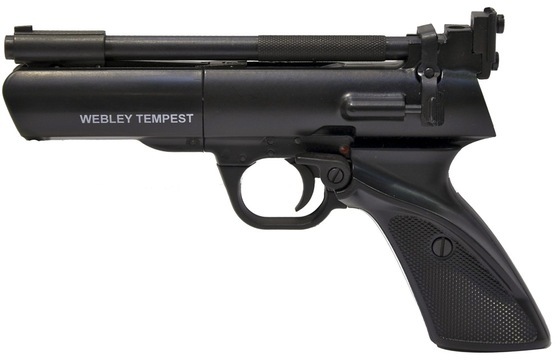 Crosman is also introducing a really well made Nitro Piston air pistol called the Benjamin Trail NP that looks to be a very well made break barrel spring piston air pistol that shoots in the 500 fps neighbourhood. 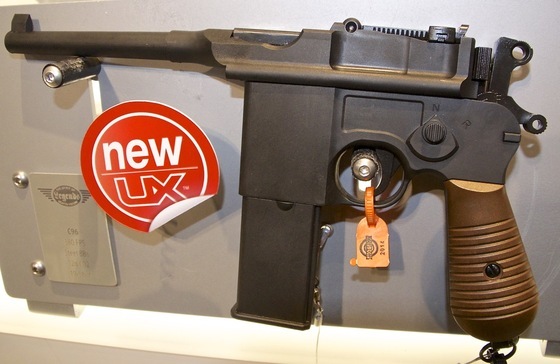 Umarex also had some new items, one of which at first glance looks a lot like the Crosman C41 P38 replica but I have to say it has more going for it with a locking slide, licensed trade marks, true single action and overall just a more realistic version of the real P38. 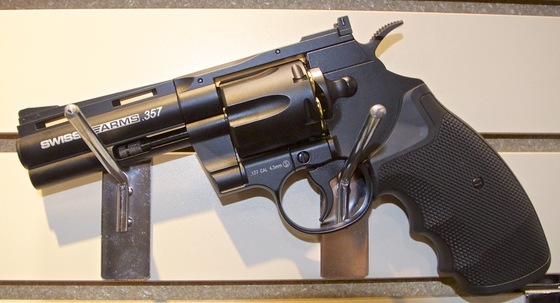 Umarex is also bringing the Smith & Wesson 327 TRR8 BB Revolver to North America, which is very similar to the Dan Wesson line but with extra rails on the top and bottom of the barrel. 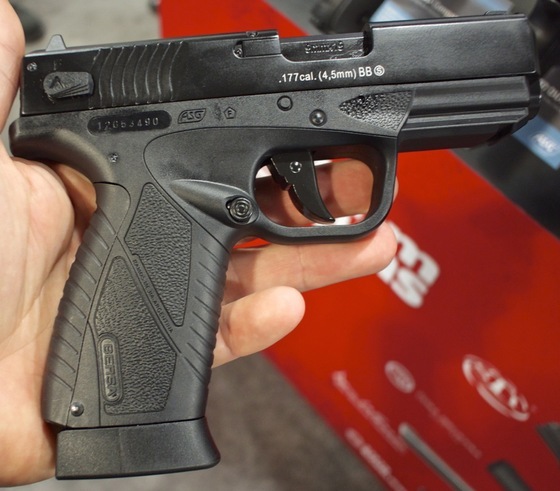 Umarex is also adding a couple Browning based air guns, one is a low fps Browning Buck Mark copy which is a break barrel .177 caliber pellet shooter targeted for the beginner target shooter and also a Browning High Power replica. 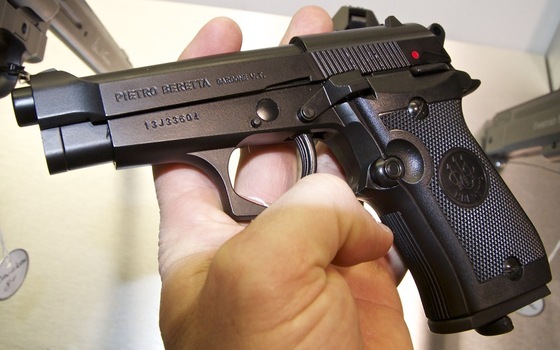 One last BB pistol many people have been asking for is the Beretta 90 Two BB pistol and it looks like it has landed in North America finally! 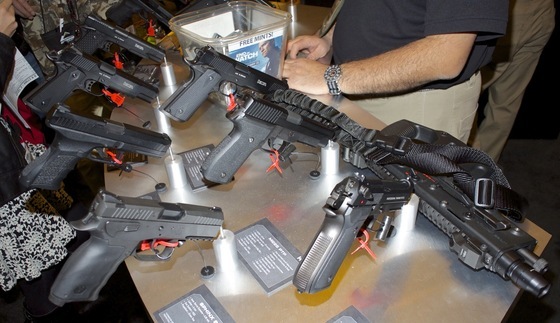 The bad news is - I'm going to be a bit out of touch with my email as I will be away from this Sunday till Friday in Las Vegas Nevada at the 2012 SHOT Show and not only will I be supper busy checking out all the cool stuff at the show, but I will most likely have limited internet access. 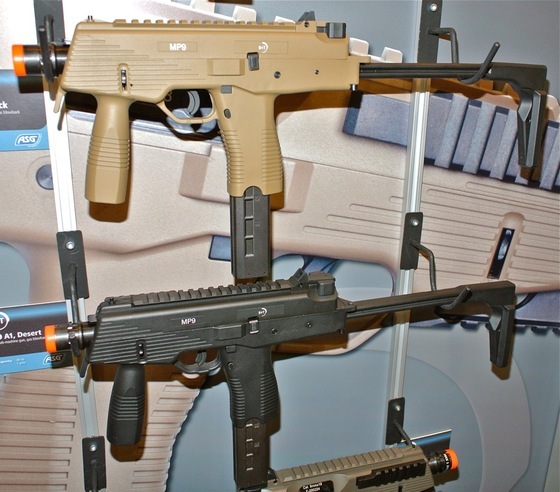 The good mews is - I will be doing my best to post as many photos, videos and info about the Airgun related booths and events going on at the 2012 SHOT Show, so make sure to checkout the Replica Airguns website next week, I hope to be able to share with you anything new and cool from the 2112 SHOT Show!